Things like FRC Team locations, awards, growth, playing field turnaround times, pretty much wherever curiosity leads us. 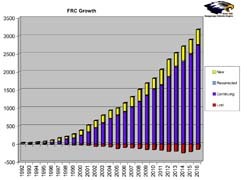 This is a collection of random statistics and facts about the FIRST Robotics Competition (FRC) that might be useful in team marketing presentations, elevator speeches, etc. Mostly it's just a running experiment in looking at things differently. Excel versions of a variety of takes on FRC historical data have been published for people to pursue their own interests. You are encouraged to take and use this information as you need. Please use the spreadsheets, modify them, combine them, add more data and produce your own interesting factoids. 93% of the team coordinates are locations of an actual team school/organization associated with the team. That doesn't mean the team hasn't moved since, or has their build space located elsewhere, but it's a whole lot more accurate than just a city. For multi-school teams, only the first school listed as part of their FIRST team name or by the school district website, gets the team marker. The remaining 7% are simple offsets of the town. These teams either did not identify an associated school/definitive sponsor (such as home schoolers, 4H, Girl Scouts or other independents), or were unrecognized in a search and were difficult to resolve, e.g., many non-US addresses. In these charts team number changes are tracked by the primary educational base (school, 4H, Girl/Boy Scouts, Boys & Girls Clubs, home school, etc. ), We choose to categorize a team as new when a particular school plays FRC for the first time, and this rule has been applied from the first unnumbered teams through to the present. 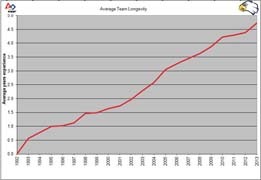 FRC Team Year-to-Year Comparison ( , 3.5 MB) This is a year-to-year comparison of team lists for every year used to identify individual resurrected teams, returning teams and lost teams. It has some odd worksheets summarizing subsets of data depending on what whimsy struck us and what amounts to statistical doodling. 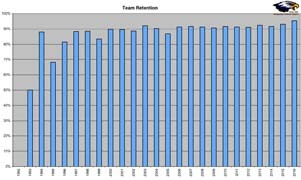 To the left is a table from 2009 with # of rookies for each year and retention rates for those teams in subsequent years. The row is the year you're looking at (i.e. the row 2006 refers to the 2006 season). Then each column is the number of teams (out of the original # of teams) that participated in that season. 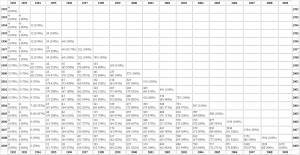 So for row 2006, column 2000: then 271 of the 372 teams from the 2000 season also participated in the 2006 season for a retention rate of 72.849%. 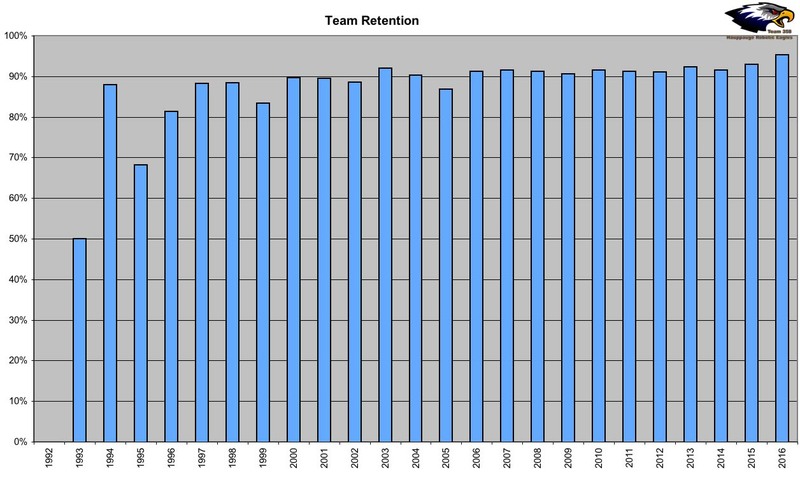 To the right is a simpler chart showing overall team retention year-to-year. The numbers include continuing teams as well as teams that return after a hiatus of a year or more. How old are the teams that drop out of FRC? The newest fledgling teams, the old tired teams, or the transition teams in their middle years? 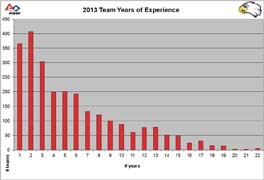 Here is a look at sequential years comparing dropouts and their years of competition experience. The pie wedge numbers are the % of each year's dropouts, and the color of the wedge corresponds to the number of year's the team actually competed. 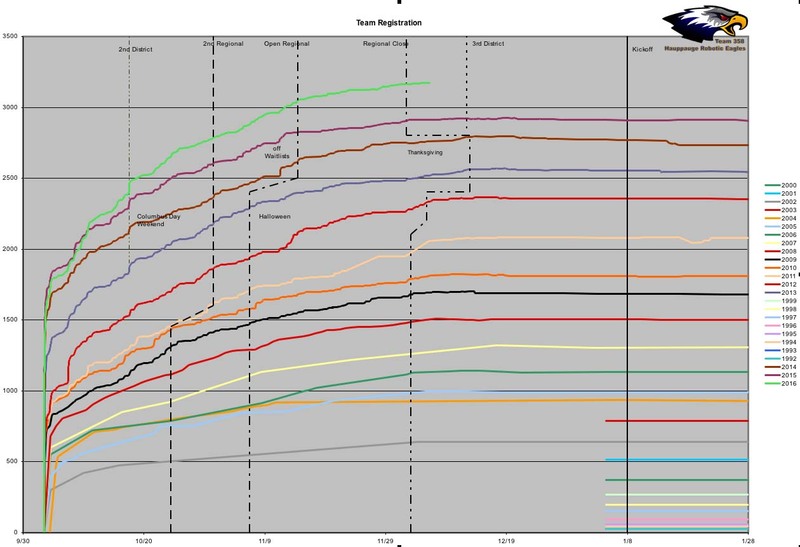 Plot of FRC team registration day-by-day from Registration opening around October 2 to closing about December 3 (and then on through the events), for the years 2005 through the present with the final totals for the years back to 1992 thrown in for reference. Registration actually peaks a week or so AFTER registration formally closes each year. Then that peak dwindles off as teams are not able to raise the funding, find the mentors, administration/teacher support flounders, facilities are unavailable, students aren't recruited, or local politics aren't conducive. Teams have dropped out as late as the middle of competition events, so don't count the season's final total until the very end. In the detailed latter-year plots you can see the flat weekends pretty distinctly, especially the three day Thanksgiving holiday where no one registers. 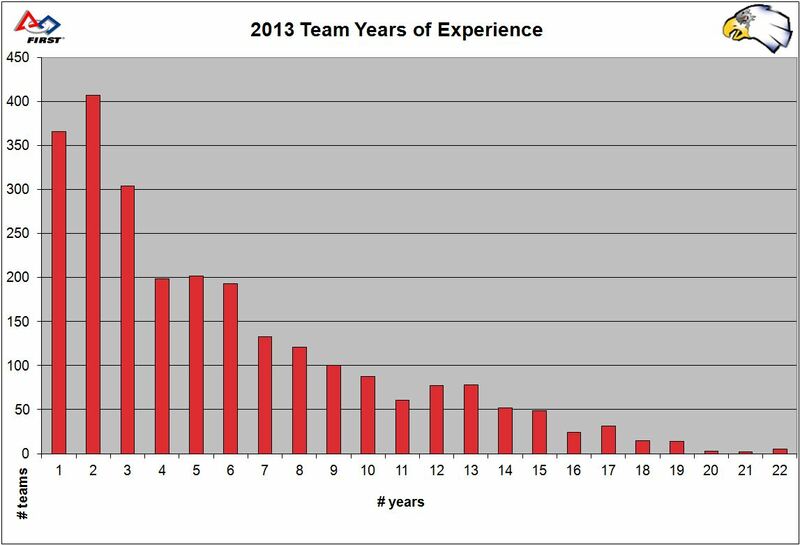 Another way to look at this is to tally the teams vs. years of experience. These graphs show the distribution of team numbers that were in use during the 2013 season. Team numbers are broken into 100's, e.g., the 100 column shows the number of teams with a team number in the range 100 to 199. 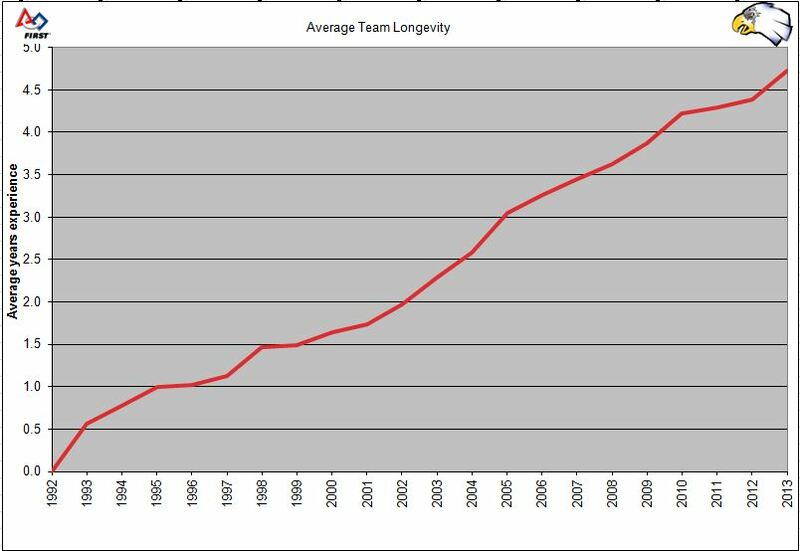 The first graph is raw numbers, while the second is normalized to eliminate team numbers that were never assigned to anyone. Here's a compiled list of every FRC team that ever was - teams that are no more, teams that have around since the beginning, teams that started this season, teams who last played in 1992, including un-numbered teams from those pre-team number days. Weren't you ever curious just how many teams there really have been? What with all the team numbers FIRST has skipped and never assigned to anybody it can be really hard to tell. You might be surprised at the sponsors and schools that first started your own team or the teams in your local area who came and went before you. ~20% have morphed team identities - number changes, splits, mergers, siblings. ~40% of FRC teams have dropped out. Luckily, many of those lost teams have just moved to FIRST Tech Challenge or another competition such as Battlebots IQ, so they haven't necessarily been lost to the inspiration of engineering. 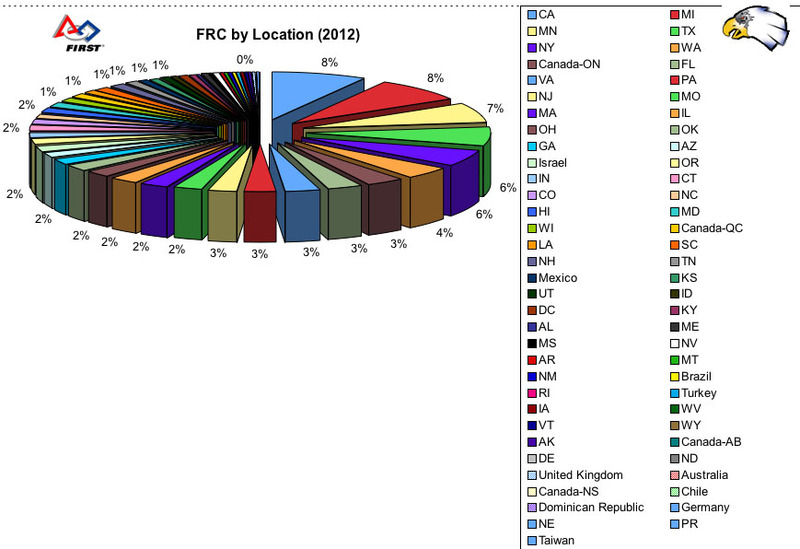 A breakdown by nation, and another that adds US territories and States shows where all our teams come from. FRC Teams shipped robot crates (09) ...... >1.5 million lbs. 5 ----- 25 ------ Delphi "Driving Tomorrow's Technology"
5 ----- 33 ------ Delphi "Driving Tomorrow's Technology"
5 ----- 357 ----- Delphi "Driving Tomorrow's Technology"
Just some random statistics about field operations, # matches per event, matches per team, average match cycle time, average qualifying/elimination scores. Some of these are quite dependent on volunteer staff experience and availability, as well as, the complexity of the game (penalties, field reset, scoring), and unusual local constraints. Just What is Average at an Event? What About the Best at Championships? How Many Events Does the Average Team Attend? 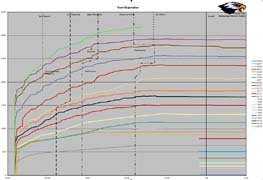 At early events no one knows the game, has a drive team experienced in this year's game play, or has all the kinks worked out of their robot design, but in 2010 for instance, by the time Week 5 rolls around almost half the teams competing that week have already played at an earlier event. Of course, that's also the week of the Michigan State Championship where every team has played twice before. 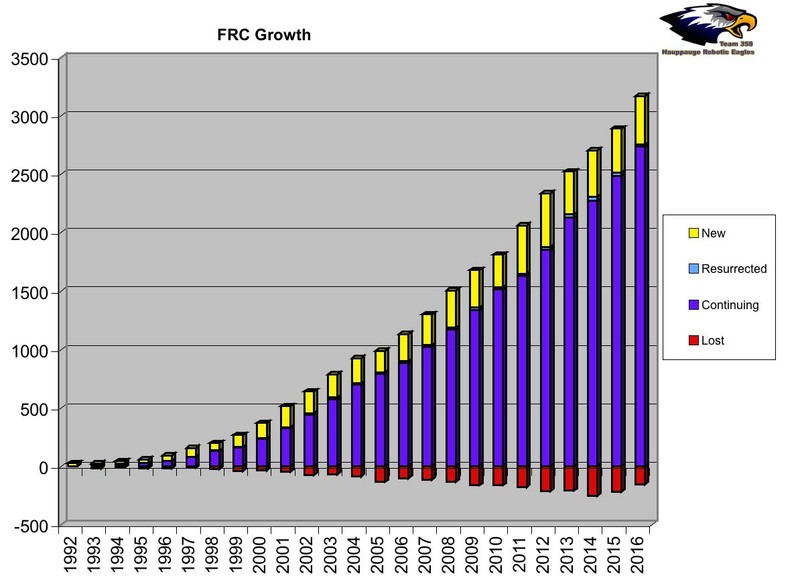 Just a chart comparing the growth of various robotics programs: Jr. FLL, FLL, FTC, FRC, Vex, Botball, BEST. Data populating these charts and spreadsheets has been culled from multiple sources. If at all possible we tried to have collaborating sources that could be reconciled, validating the results. The best sources are the official FIRST ones of course, but even those come in several forms: online database, website, print and electronic versions of competition documents, press releases. Other sources include news articles, physical possession of team awards, team histories/photos, eye-witness reports, documentary videos, etc. 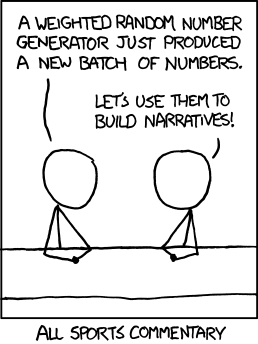 Some sources are given more weight than others depending on the circumstances, for instance news articles can garble facts, memories can deteriorate, but also hard data such as the FIRST database is manually entered by a large number of people and sometimes will not reconcile even against itself. FRC Annual Team Rosters: What Events And Teams Are In My Area? The team portion of this database is good back through 2001 with partial/spotty records for pre-2001 years on individual teams, BUT ONLY for teams that are still active or have been active within the past three years. The purged team records are still available on our preserved FIRST database archive (see FRC Team Lookup on the left navigation bar). For events it only goes back to 2003, although errors can be found, so again the data should be validated against other sources if at all possible. Also, in some earlier years the database is missing select fields, such as team names or locations. FRC official individual team records also available via: http://frclinks.frclinks.com/team/358 (links courtesy of Pat Fairbank) - just replace the team number at the end with the team you want or through the team rosters link above (but only available for teams active within the past 3 years). The TechnoKats History Project has made available a wonderful collection of old documents and records. FIRST-a-holics has a lot of the Game Manuals from the 1990's. FIRST has changed criteria over the years, defining when a team is new, continuing, etc. Often the reasoning at the time involved continuing or switching sponsors, primary mentors involved in moving teams from one school to another, all reasons that are hard to uncover when we're restricted to examining raw team databases and original competition lists. That's where personal team member accounts are valuable. Rookie year's in the FIRST Team database no longer reflect when that team number actually first joined or played, but are currently based on how many founding team members have been involved in FRC before. 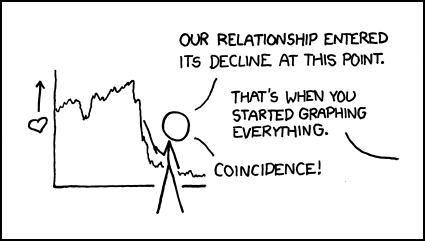 All this just means you have to be careful when using the data that you understand what the data signifies. Be wary of FIRST reports and publications. The trouble with FIRST Annual Reports and marketing brochures is that the data is often published before the year's final talley is in. Errors are usually corrected in later official reports, but brochure errors don't suffer the same scrutiny.